The most exciting developments in mesothelioma treatment right now are immunotherapy drugs such as nivolumab (also known by its brand name Opdivo) and ipilimumab (also sold as Yervoy). A mesothelioma clinical trial underway now will study the effectiveness of a combination of nivolumab and Ipilimumab as first line treatments for non-operable pleural mesothelioma. The trial is taking place in 127 cities around the world, including 17 locations in the United States. It is a Phase III clinical trial of the combination nivolumab and ipilimumab protocol. This means that at least two earlier trials on human subjects have been conducted to determine the safest and most effective dosages. It also means that the results of those initial studies were promising. First line mesothelioma treatments are just what they sound like: the treatments that doctors consider the best and most effective, so they are the first option. If first line treatments don’t work or stop working, your doctor will prescribe the next best thing – the second line treatments. These are mesothelioma treatments that don’t help as wide a group of patients as the first line treatments. Second line treatments are important, because first line treatments sometimes lose their effectiveness over time. A second line (and third line) option, if it works, can prolong your survival time after your mesothelioma diagnosis. The chemotherapy drug Pemetrexed is a first line mesothelioma treatment. Pemetrexed, in combination with a platinum-based chemotherapy drug (Cisplatin or Carboplatin), has been shown to slow the progression of pleural mesothelioma. This drug combination is often the best mesothelioma chemotherapy treatment available today. The nivolumab study is looking at whether a different drug combination, one using two immunotherapy drugs (nivolumab and ipilimumab), is effective enough to be an alternative first line mesothelioma treatment. Traditional chemotherapy employs drugs that kill off fast-growing cells. Because cancer cells reproduce quickly, chemotherapy drugs are drawn to cancerous tumors and attack them. They are harsh drugs, however, and can sometimes come with unpleasant side effects. Current chemotherapy drugs and dosages have been refined to reduce side effects, but some patients still have bad reactions. Immunotherapy drugs operate on a different principal. Cancers are able to grow wildly because they use tricks, at the cellular level, to prevent your immune system from recognizing them as unhealthy cells that should be eliminated. Immunotherapy drugs turn the tables on cancer cells and stimulate your immune response to fight against the cancer. When it’s not blocked, your immune system is a very powerful disease-fighting machine. Every day, most of the time without your knowledge, your immune system is finding and kicking out invaders that could cause infection, viruses that could cause disease, and abnormal cells that could turn into cancers. Immunotherapy drugs work by harnessing that power against mesothelioma and other cancers. Nivolumab is a type of mesothelioma immunotherapy drug called a checkpoint inhibitor. It works on a protein called programmed death ligand-1 (PD-L1). PD-L1 binds with and blocks another protein (PD-1), which is found on T cells. T cells are an important and powerful part of your immune response. Normal cells are programmed to live for a while and then die off. Cancer cells proliferate not only by reproducing quickly but also by staying alive indefinitely. Some cancer cells are able to do that because they have extra PD-L1 and they use it to tell your T cells to stand down. When this happens, your immune system doesn’t recognize these cancer cells as hostile. Checkpoint inhibitors like nivolumab block the PD-L1 to PD-1 pathway and prevent cancer cells from using this trick. This frees your T cells to attack your mesothelioma tumor. Some patients have had good success with checkpoint inhibitors such as nivolumab. Nivolumab focuses on a very specific mechanism to check cancer. Not all mesothelioma tumors use this pathway. However, some recent research has produced promising results. Nivolumab caused mesothelioma tumors to shrink in half of the patients in one study. Other trials have shown that patients given a combination of nivolumab and ipilimumab had better outcomes than those who took nivolumab alone. The nivolumab trial, which is Clinical Trial No. NCT02899299, “Study of Nivolumab Combined With Ipilimumab Versus Pemetrexed and Cisplatin or Carboplatin as First Line Therapy in Unresectable Pleural Mesothelioma Patients (CheckMate743),” looks at whether the nivolumab/ipilimumab combination can be as effective or more effective than the traditional chemotherapy combination. Participants will receive either the chemotherapy or immunotherapy mesothelioma treatment and researchers will study which group does better. Am I Eligible for the Nivolumab Trial? The very best pleural mesothelioma treatment is a combination of chemotherapy and surgery. Mesothelioma patients who are diagnosed in Stage I or Stage II are most often treated with surgery. The nivolumab trial is enrolling only pleural mesothelioma patients who are not eligible for surgery. There are several reasons why mesothelioma patients might not be able to receive surgery. If you are diagnosed at Stage III or later, this means that the mesothelioma has progressed. It may have metastasized (formed a tumor in another part of your body) or invaded your lymph nodes. Stage III and IV mesothelioma patients are unlikely to be eligible for surgery because of this spread. In addition, some tumors are inoperable because of their location in your body – it would cause more harm than good to remove them. Some patients have other health problems that make mesothelioma surgery too big a risk. You may be eligible for the nivolumab study if you have pleural mesothelioma that can’t be treated with surgery. In addition, you must not have received prior treatment with certain immunotherapy drugs. If you join this mesothelioma clinical trial, you may receive the immunotherapy treatment or the chemotherapy. Both have been shown to be effective mesothelioma treatments. Even if you are in the control group, you will receive the best possible medical care and a standard of care first line mesothelioma treatment. 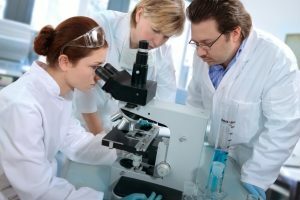 To find out more about this study and whether it might be a good fit for you, use Mesothelioma Circle’s new clinical trial tool. Then talk to your mesothelioma specialist. This clinical trial includes a bittersweet backstory. Part of the funding for the trial came from the family of Gerald Boyd, who died of mesothelioma in 2016. Mr. Boyd was diagnosed at Stage III, so he was not eligible for surgery. If the new nivolumab treatment is successful, it will help mesothelioma patients just like him. Gerald Boyd was a fighter. Represented by the experienced asbestos lawyers at Kazan Law, he took the corporations responsible for his asbestos exposure to court and was awarded a settlement. With funds from that settlement, he and his family established the Boyd Family Fund at Kazan McClain Partners’ Foundation. Support from the Kazan McClain Partners’ Foundation and the Boyd family has made it possible to expand the options available to mesothelioma patients. It’s an inspiring story and one that provides another reason for mesothelioma patients to seek justice.